Sporting Clube de Portugal has the support of three important groups. The first, named the Stromp Group, was conceived on the 18th of December 1962 by a distinguished group of 22 Club Members inspired by the values and ideals of Sporting Clube de Portugal's founders. 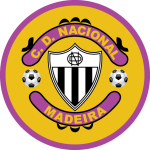 The 22 founders of the group were: Alfredo Mesquita; Alfredo Soares de Oliveira; Almiro da Maia Loureiro (Cap. ); António da Cunha Rosa; Artur Luís Ferreira da Cunha Rosa (Dr.); Carlos Queiroga Tavares; César Pedrosa Vitorino; Faustino Manuel David; Fernando Barros Vieira Ramos; Francisco Silva; Francisco Simões; Francisco Teotónio Madeira; Guilherme Correia César; João Varandas; José Nunes dos Santos (Dr.); Luís Neves; Manuel das Neves Barreto (Eng. ); Manuel da Silva Júnior; Mário Ferreira da Cunha Rosa; Octávio dos Santos Barroza; Pedro José Nogueira and Rolando Soares Oliveira. Conditions for admission into the Stromp Group include 10 years as a Member of Sporting Clube de Portugal and a relative activeness as a leader, athlete or associate of the Club. 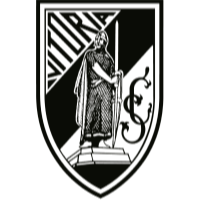 The founders decided to develop a set of principles for the operation and performance of the Stromp Group (as an alternative to the traditional establishment of statutes), in which they highlighted that the body would not interfere with the competencies of the Board of Directors and that it would participate in activities that are aimed at defending the best interests of Sporting Clube de Portugal and reinforces the prestige and grandiose of the Club. The Stromp Group also instituted annual awards to distinguish the most illustrious Sporting fans, athlete or not, that have contributed to the developement of the Club. The giving of the awards is a huge event and a true source of pride for all of those that are honoured. Beyond the attributing of these important awards, the Stromp Group has also taken part in various initiatives: taking part in the Lions' Congresses, the attributing of the Francisco Stromp Cup, tributes to leaders, coaches, athletes and other Sporting figures that have, in some way or another, served Sporting Clube de Portugal in an unselfish way. On the 18th of June 1969, following a meeting called by Admiral Joel Azevedo da Silva Pascoal (former President of the Club and who was Member nº53 at the time), the Quinquagenarians Group (Grupo Os Cinquentenários) was born; a group that brings together all associates who have been associated with Sporting Clube de Portugal for more than 50 years. Still to this day, no criteria is used in the selection of Members for the Quinquagenarians Group, other than a most unique honour that the person must hold: that of having been an associated with the Sporting family for more than half a century. On the 1st of January of each year, the Quinquagenarians Group welcomes those Members of Sporting Clube de Portugal who will celebrate five decades of affiliation with the Club in that particular year. The awarding of an emblem to represent 50 years of membership - whic is used by the club to distinguish Members that are celebrating their golden jubilee - is the prerogative of Sporting Clube de Portugal; being done so on the initiative of the Board of Directors. The Quinquagenarians Group regularly supports initiatives that promote the development of Sporting and its values, ethics and sports. The memories that each Member of the group has, most of whom are former athletes, represent a living history that is irreplaceable to Alvalade. The Lions of Portugal, which came into being in 1984 as a group promoting charity between Sporting fans, has the promotion of social activities in the name of Sporting Clube de Portugal's Members and their families as its main objective. In 1997, with the institution being given recognition as a public utility, the Lions of Portugal became an 'Institution of Social Solidarity' (Instituição Particular de Solidariedade Social (IPSS)), as announced in the Journal of the Republic (Diário da República) – III Series, N.º 209, 10th of September 1997. Operating without a headquarters for 13 years, a variety of activities were developed thanks to the generosity of the founders of the Lions of Portugal and Members of Sporting. As more Members became aware of the existence of the group, more and more associated themselves with it and contributed to it where possible. Since its foundation, the group has always sought to help the younger Members of the Club, through the giving of student grants to primary, secondary and higher education students. However, the support given by the Lions of Portugal is not exclusively limited to the younger generation of Members. In fact, countless social projects have been geared towards the elderly. The efforts of the Lions of Portugal and the help it gives to people has not gone unnoticed by the Club and in 1997 the Board of Directors made available an area in the stadium that would act as the group's headquarters. The ultimate challenge for the Lions of Portugal was the creation of a Day Centre at the new Estádio José Alvalade; a day centre that would help to combat the isolation felt by the Club's older Members, to better contribute to the quality of life of those people and to promote their sense of autonomy. Indeed, the new day centre acts as a permanent reference point that gives people a sense of interpersonal identification with other Sporting fans. The Association for the Solidarity of Sporting fans, the Lions of Portugal, is the only charity institution in Europe based around the Members of a sports club.